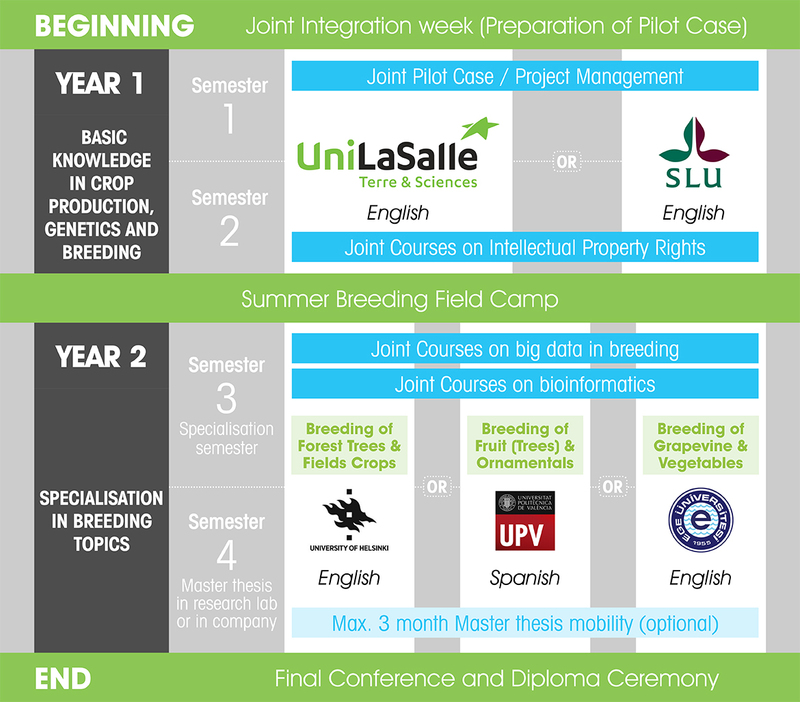 Two joint courses are taught each academic year. The complete list of courses is available in the Course Catalogue section. The Consortium offers 6 mobility tracks to combine the specialisations and strengths of all partners. Preferred mobility track is asked in the application form. 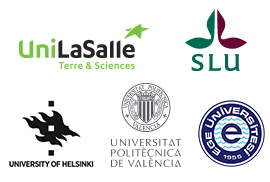 All courses at SLU, LAS, UH and EgeU are taught in English, courses at UPV are taught in Spanish. SLU and LAS offer Spanish courses to prepare students who select UPV for a B2 level for their stay (level B1 is compulsory at application stage). All partners offer local language and culture courses to promote their academic success and facilitate their social and cultural integration. Each student who succeeds the mandatory evaluations and who validates 120 ECTS, minimum 30 ECTS per semester, will receive a double degree, (i.e. the master’s degree of the year 1 institution and the master’s degree of the year 2 institution). All students will receive a joint emPLANT diploma supplement. Degree issuing universities will also provide the student with an ECTS transcript of records with the grades and credits obtained.